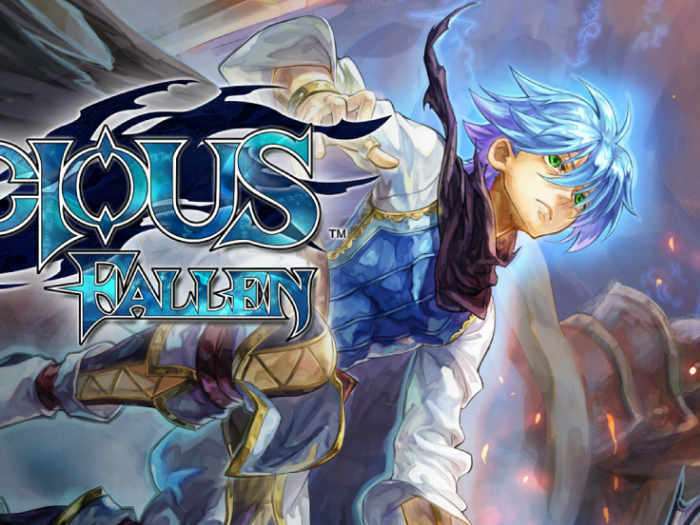 Today Alvion and Sony have announced that the PlayStation 4 exclusive action RPG, Malicious Fallen will be launching outside of Japan in the near future. The game will be officially launching in Japan in early Spring 2017 say the games developers. Check out the two latest trailers below to see what you can expect from the new game once it launches and brings the Malicious series to a conclusion. All chapters of the fast-paced, boss-battle action series Malicious are coming to the PS4 as a digital download exclusive! A brand new chapter “Demise” and other new gameplay elements have been added! The previous “Slayer” and “Rebirth” chapters are also included. This is the all-inclusive, definitive edition of Malicious! A slew of new, stronger enemies! Unleash abilities never seen before! Witness the Demise of the Malicious with your own eyes! The Slayer and Rebirth “The Slayer” and “Rebirth” chapters are both included! Intense battles from the original chapters now on the PS4! Spirit Vessel – The Slayer summoned to defeat the great calamity of the Malicious is given form in the shape of a Spirit Vessel. The Spirit Vessel radiates with a pale light and is surrounded by an air of etherealness. Although it appears human, it is a container and nothing more. The Prophets – The six men of wisdom who summoned the Slayer to this world. They are beings beyond comprehension, having transcended mortality using the art of numerology which they have mastered through the long years. They grant wisdom and strength to those with power in order to prevent the coming of the Malicious. System – Battle – Intense boss battles from all chapters! Bosses appear from the start of the level! Fight your way through fierce, large-scale battles and numerous foes! • Defeat Bosses to Obtain New Abilities – Obtain new abilities by defeating bosses! With each vanquished foe, new and stronger abilities will be yours! Use them to defeat even tougher enemies! • Combo System – Mantle switch for tons of combo possibilities! Switching your Mantle form while attacking gives you a variety of different ways to deal damage! Bring order to the chaos of battle by choosing when to combo different forms! • 3D Action – Move freely around the entire 3D space! Run up walls and ceilings without needing to equip special abilities! Forget all you knew about gravity and fly through the air! Use mid-air jumps and flight to move through the level in any way you want! • Mantle Abilities – Your mantle changes form! Overcome your enemies by Mantle switching! Move, attack, defend… instantly change the form of your Mantle to suit your purposes! • Counter Attacks – Counter attacks are the key to turning battles around! Make use of good timing to initiate a counter attack! Inputting the correct commands during a boss’ special attack will allow you to counter it! A successful counter attack will leave the boss wide open for a time. Take advantage with your own attacks! – What new abilities await you? • Aura – Aura is the key to strategic fights! Defeat enemies to collect it! Release Aura for stronger offense and tougher defense. Constantly consuming and converting Aura can rapidyl increase both your offensive and defensive capabilities! • Chain Attacks – Chain Attacks to obtain Aura! Use Aura to unleash special attacks to finish off enemies! Chain Attacks to quickly take out approaching enemies all at once and collect massive amounts of Aura! Unfortunately no information on worldwide availability has been released as yet by Alvion, but as soon as information comes to light we will keep you updated as always. For more information on the new Malicious Fallen PS4 game jump over to the official website for details by following the link below.